Los Altos Advisors partners with management teams to provide venture capital and growth capital for businesses. Our team of experienced operating executives share a wealth of knowledge to build and grow your business via operational expertise and deep industry relationships. 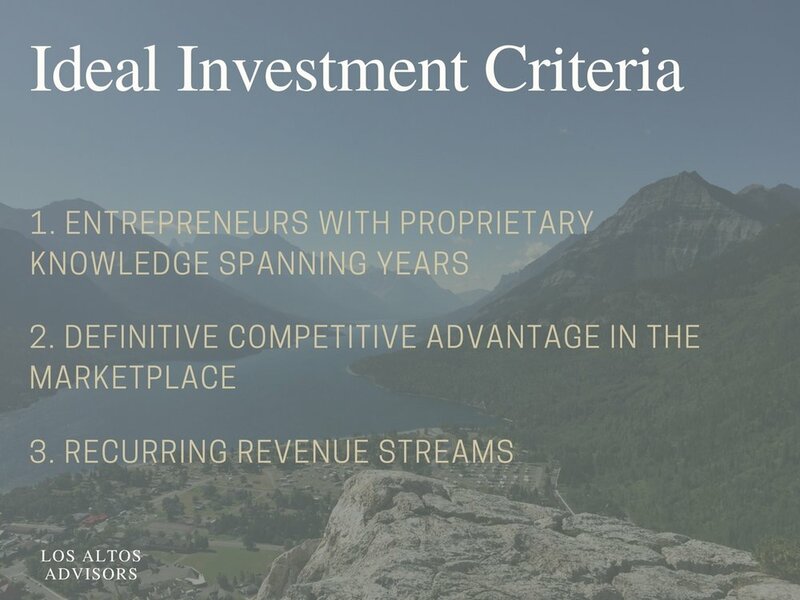 Our view is long-term, adding value over a 5 - 10 year period making majority and minority investments throughout the U.S. We operate under the highest level of trust and integrity, respecting the teams who entrust us to help increase the value of the business. We believe that people are at the center of all success, thus our strength is our relationships. We leverage our network of exceptional individuals to maximize returns on investment for our investors, management teams and employees.